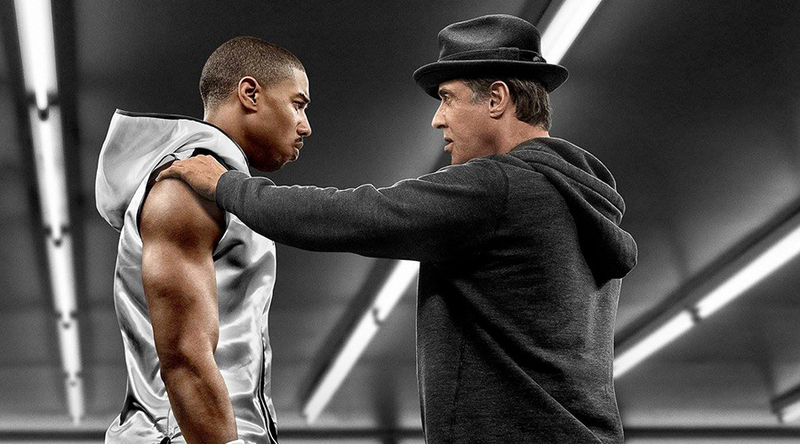 In his latest film Creed, Sylvester Stallone returns as Rocky Balboa one last time (perhaps) in a surprisingly effective and very visceral boxing film. This time he exists outside the ring as he becomes the mentor to the illegitimate son of one of his greatest opponents. It first must be said that the film features some extremely graphic faux boxing footage and is not for the weak of stomach. Secondly it dips quite often into populist sentimentality. Within those constraints however, it is a very enjoyable film and mumble as he might, Stallone holds his end up quite admirably. Michael B. Jordan (Fruitvale Station) as Adonis Johnson is Balboa’s protégé and he really sells the role with his gym sculptured bod and obvious ring training. He isn’t your typical damaged goods either as he has an intelligence and civility that is usually absent in films of this ilk. The film offers little in the way of surprises but is very entertaining and there are some very good choice of results that add to the viewing pleasure. Not for the faint of heart with it’s audacious boxing footage, it is still very entertaining.